This weekend went by WAY too fast. I could honestly hibernate in my cozy bed for a week right now... A gal can dream. But, the least that I could do on this Sunday evening is a little pampering with the help of Key West Aloe. I've been using the products over the past month or so now, and I have to admit that I've fallen in love. Reader's digest version of my endless skincare search - my skin is sensitive, combination and acne-prone. I've been on the hunt for a great moisturizer FOREVER and when I had the chance to try KWA's Night Moist and other products, I jumped all over it. And you guys, their stuff is fan-freaking-tastic. I use this stuff every day now. Don't even get me started on their yummy salt scrubs and shower gels. I used up the coconut shower gel so fast, I wasn't even able to include it in the post here. I've been applying this every day, twice a day for about two weeks and I'm already seeing results! But, I've been having lots of fun with their newer product - the marine mud mask. My face always feels so refreshed and detoxed when apply a layer of that beautiful blue clay. Long story short if you've been searching for great, natural products that won't break the bank, then you should really give Key West Aloe products a shot! I can't wait to hear about your experience if you try! Do you have any suggestions for products to try? Let me know in the comments below! BRB - time to wash off this mask for glowing skin before this week commences... UGH. My complexion is exactly the same! 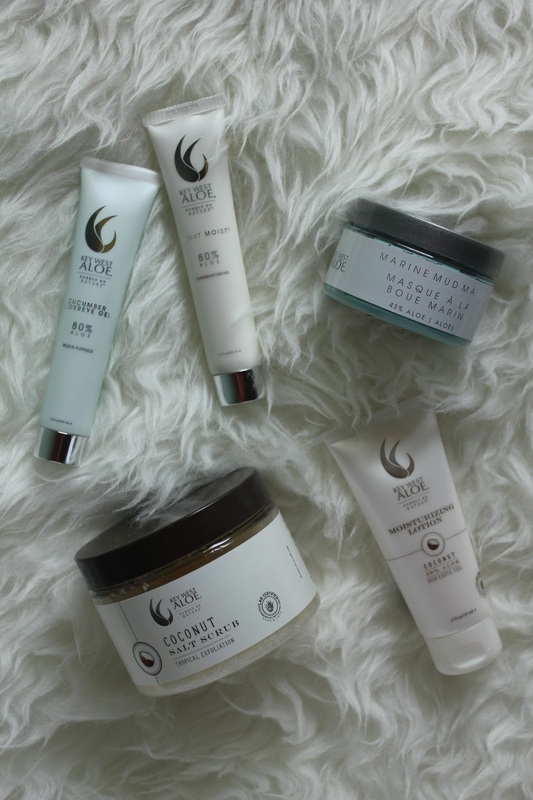 Key West Aloe sounds amazing - I'd love to treat myself to the mud mask for some much-needed detox!